Even a Jedi needs to relax sometimes! 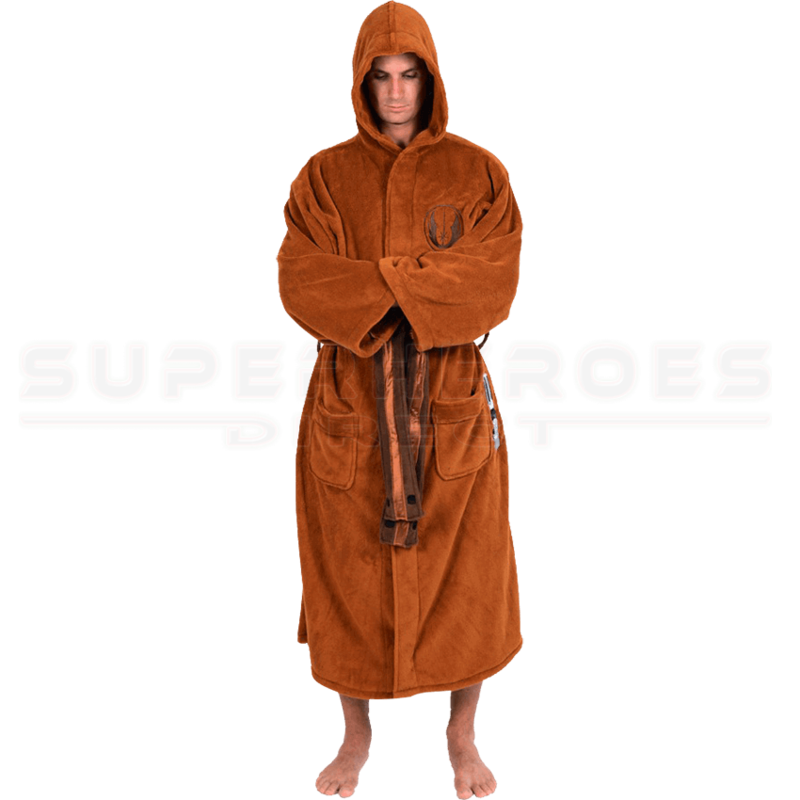 The Star Wars Hooded Jedi Fleece Robe makes a great option for showing your love of the sci-fi universe. The licensed Lucasfilm loungewear features fun details that help you look like a Jedi. The emblem of the Jedi Order appears on one side of the chest and a lightsaber design is embroidered on one hip. The brown hooded robe cinches at the waist with a belt that has been decorated with colored bars to resemble food and energy capsules and other small details. Pockets provide additional usefulness to the design of the fleece robe. 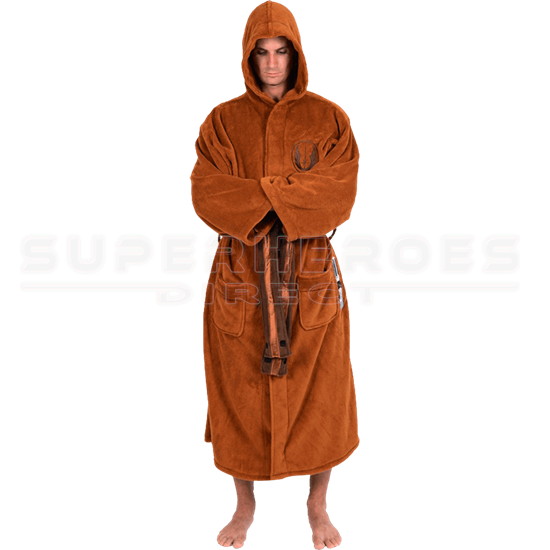 This Jedi bathrobe makes an excellent gift for fans, and it is the perfect Star Wars apparel for movie marathons!